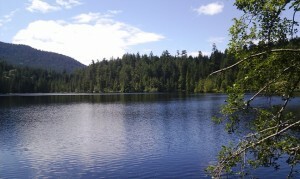 The primary role of Ambrose Lake Ecological Reserve is to preserve a small coastal lake, adjacent bog land, and surrounding forest. Interesting bog land values along the northern margin of Ambrose Lake and along its outlet stream are of particular importance. These values are of limited extent outside of the ecological reserve and are relatively rare within the southwestern portion of the Province. Some recreational hiking and walking occurs within the ecological reserve and has potential to impact protected values. Monitor impacts and initiate appropriate management actions as needed (e.g. signage, restrictions on activities). Forestry or development activities in DL 5399 and 5400 immediately to the north of the ecological reserve could create changes in nutrient or water flow into the Ambrose Lake watershed system. Monitor activities in close cooperation with Ministry of Forests and forest licensees and assist in the development of management actions which protect the ecological reserve’s values. If feasible, add lots to ecological reserve. Vulnerability: Vulnerable to hydrologic disturbances to watershed. Rare/Endangered Values: Possible presence of coastal cutthroat trout and amphibian species. Representation – ecosection: Minor contributor to the underrepresented Georgia Lowland (GEL) Ecosection. 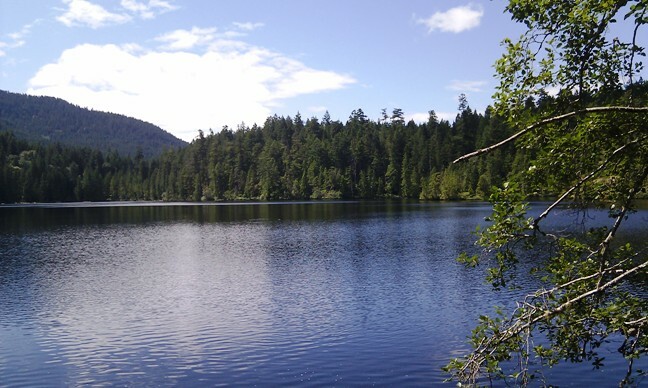 8.44% of this ecosection is protected and Ambrose Lake Ecological Reserve contributes 2.33% of the overall protected areas system representation of this ecosection. Minor contributor to underrepresented CWHdm subzone. Only 5.89% of this unit is protected and Ambrose Lake Ecological Reserve contributes only 0.83% of the overall protected areas system representation of this unit. Special Feature: Bog lands and small undisturbed low elevation lake. Rare/Endangered Values:Possible presence of coastal cutthroat trout and amphibian species. Scientific/Research Opportunities:Bog land and small lake values. Representation backcountry:None, not appropriate within this ecological reserve. Education/Interpretation Opportunities: None due to sensitivity of site.